I was little shy to upload this because of low quality. In this tour, they made a live video 'Don't think' with high quality video. In my opinion, this tour was the best of Chemical Brother's tour history. I really expect this weekend's (in 2015) Chemical Brothers stage in Ansan. Maybe they won't disappointed me. I was really hard to see this stage. At that time, my job ordered me to came to the office at midnight and I couldn't see whole stage and I spent to go back to the office almost 100,000won (almost US $100) to the taxi fee. The reason why I spent a lot of money is...I saw the video about The Chemical Brothers in Glastonbury 2011. It was so fantastic. So I decided to see this stage in live. I heard Chemical Brothers new album yesterday, actually, it is little boring than their ex-album 'Further'. 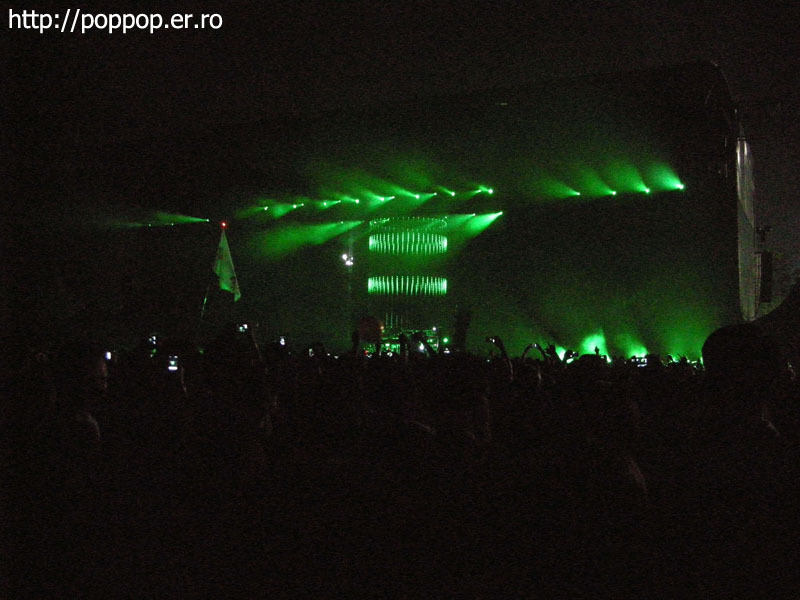 Today Chemical Brothers stage's artwork photo uploaded by the staff. They will show another fantastic stage in different from this tour.